The major interest of this laboratory is to develop mechanisms to repair or regenerate heart muscle tissue in the diseased heart. We are taking two major approaches. One is to understand the molecular machinery by which Nature restricts and irreversibly inhibits heart cell division during early development so that we can design procedures to reinitiate cell division to essentially regenerate muscle tissue. The other approach is to actually transplant heart muscle cells back into the diseased heart to repair or replace the injured muscle cells. 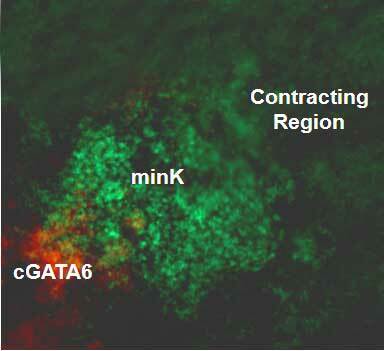 Presently we are using mouse embryonic stem cells (ES Cells) to derive immortalized ventricular, atrial and conducting heart cell lines that retain a cardiac lineage-specific phenotype. This involves using a combinatorial selection process with multiple promoters and selectable markers. The idea is to create three different types of heart muscle cells that could be grown continuously in culture and be used as model systems to study the function and dysfunction of the ventricle, atria and conduction system of the heart. We have recently been successful in utilizing specific molecular markers to identify a cardiac conduction system utilizing differentiating ES cells in embryoid bodies. We are also utilizing these genetically engineered ES cells in a tissue-engineering project. 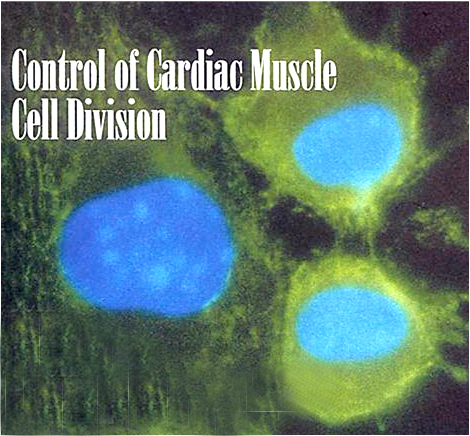 These cells would be extremely useful as research reagents for basic cardiac muscle cell research such as growth regulation and signal transduction as well as for therapeutic applications such as transplantation of cells into a diseased heart to repair damaged heart muscle and as a cell replacement therapy to treat a wide variety of cardiomyopathies. Pieperhoff S, Rickelt S, Heid H, Claycomb W C, Kuhn C, Frey N, Franke WW.The plaque protein myozap identified as a novel major component of adhering junctions in endothelia of the blood and the lymph vascular systems.J Cell Mol Med. (2011) Oct 13. Vinciguerra M, Santini MP, Claycomb WC, Ladurner AG and Rosenthal N.mIGF-1/JNK1/SirT1 signaling confers protection against oxidative stress in the heart. Aging Cell. (2011) In Press. Ma X, Jana SS, Conti MA, Kawamoto S, Claycomb WC, Adelstein RS.Ablation of Nonmuscle Myosin II-B and II-C Reveals a Role for Nonmuscle Myosin II in Cardiac Myocyte Karyokinesis. Moleular Biology of the Cell. (2011)21:3952-3962. Vinciguerra M, Santini MP, Claycomb WC, Ladurner AG, Rosenthal N. Local IGF-1 isoform protects cardiomyocytes from hypertrophic and oxidative stresses via SirT1 activity. Aging (Albany NY). 2010; 2:43-62. 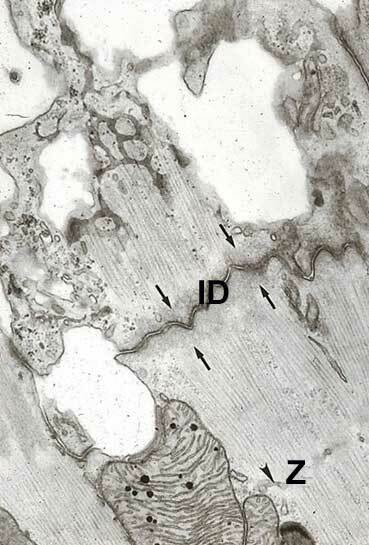 Ikeda K, Tojo K, Inada Y, Takada Y, Sakamoto M, Lam M, Claycomb WC, Tajima N. Regulation of urocortin I and its related peptide urocortin II by inflammatory and oxidative stresses in HL-1 cardiomyocytes. J Mol Endocrinol. 2009; 42:479-89. Shimko VF, Claycomb WC, Effect of Mechanical Loading on Three-Dimensional Cultures of Embryonic Stem Cell-Derived Cardiomyocytes.Tissue Eng Part A. 2008; 14:49-58. Landstrom AP, Weisleder N, Batalden KB, Bos JM, Tester DJ, Ommen SR, Wehrens XH, Claycomb WC, Ko JK, Hwang M, Pan Z, Ma J, Ackerman MJ. Mutations in JPH2-encoded junctophilin-2 associated with hypertrophic cardiomyopathy in humans. J Mol Cell Cardiol. 2007; 42:1026-35. George CH, Rogers SA, Bertrand BM, Tunwell RE, Thomas NL, Steele DS, Cox EV, Pepper C, Hazeel CJ, Claycomb WC, Lai FA. Alternative splicing of ryanodine receptors modulates cardiomyocyte Ca2+ signaling and susceptibility to apoptosis. Circ Res. 2007; 100:874-83. Hidalgo-Bastida LA, Barry JJ, Everitt NM, Rose FR, Buttery LD, Hall IP, Claycomb WC, Shakesheff KM. Cell adhesion and mechanical properties of a flexible scaffold for cardiac tissue engineering. Acta Biomater. 2007; 3:457-62. Barnes K, Dobrzynski H, Foppolo S, Beal PR, Ismat F, Scullion ER, Sun L, Tellez J, Ritzel MW, Claycomb WC, Cass CE, Young JD, Billeter-Clark R, Boyett MR, Baldwin SA. Distribution and functional characterization of equilibrative nucleoside transporter-4, a novel cardiac adenosine transporter activated at acidic pH. Circ Res. 2006; 99:510-9. White SM, Constantin PE, Claycomb WC. Cardiac physiology at the cellular level: use of cultured HL-1 cardiomyocytes for studies of cardiac muscle cell structure and function. Am J Physiol Heart Circ Physiol. 2004; 286:H823-9. Claycomb WC, Lanson NA Jr, Stallworth BS, Egeland DB, Delcarpio JB, Bahinski A, Izzo NJ Jr. HL-1 cells: a cardiac muscle cell line that contracts and retains phenotypic characteristics of the adult cardiomyocyte. Proc Natl Acad Sci U S A., 1998 Mar. 17;95(6):2979-84. To search for all of Dr. Claycomb's publications click here. To return to Dr. Claycomb's webpage click here.